질병에서 모든 중생을 구제해 준다는 약사불을 형상화한 것으로 바위 남쪽면에 전체 높이 93㎝로 새겨져 있다. ‘태평 2년 정축 7월 29일’이라는 글을 통해 만든 시기가 고려 경종 2년(977)임을 알 수 있다. 부드러운 얼굴을 하고 있고 옷은 왼쪽 어깨에만 걸쳐 입고 있으며 옷주름 표현에서는 가지런함이 엿보인다. 손바닥을 위로 한 왼손에는 약그릇이 놓여져 있으며, 오른손은 손바닥이 정면을 향하고 손가락을 위로 하고 있다. 몸 뒤편에 있는 광배(光背)는 머리광배와 몸광배를 계단식으로 새기고 있으며, 주위에는 불꽃무늬가 둘러져 있다. 대좌(臺座)는 연꽃잎이 아래로 향한 모양의 하대석 위에 4개의 짧은 기둥으로 이루어진 중대석이 있으며, 그 위에 5잎의 활짝 핀 연꽃이 불신을 떠받치고 있다. 비교적 보존 상태가 좋은 이 불상은 만들어진 연대에 대한 확실한 기록이 남아 있어 고려 초기 불상연구에 귀중한 자료로 평가된다. This 93 cm tall Buddha statue represents Bhaisajyaguru Buddha, or the Buddha of Medicine, who is believed to ease people’s suffering. 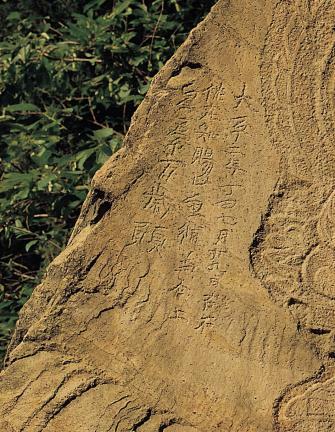 According to the inscription, it is estimated to have been made in 977 (second year of the reign of King Gyeongjong of the Goryeo Dynasty). 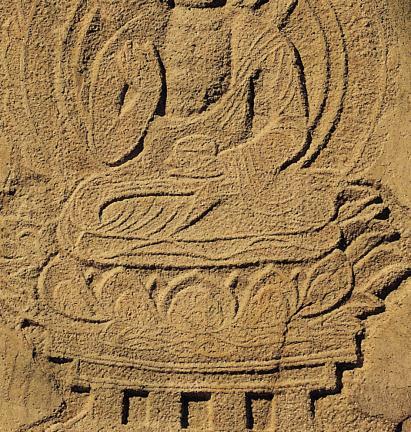 The Buddha has a well-arranged figure and a soft face, and the robe is draped over the left shoulder. The left palm faces upward, with a medicine bowl on it. The right palm is placed at the front, fingers upward. 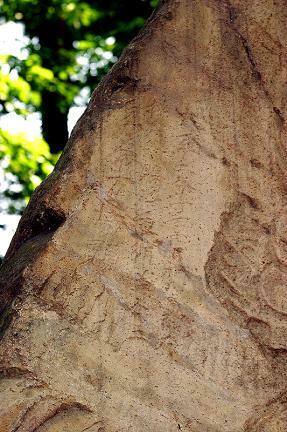 At the rear of the body are the head and body mandorlas carved in a triple-tiered manner surrounded by flame patterns. 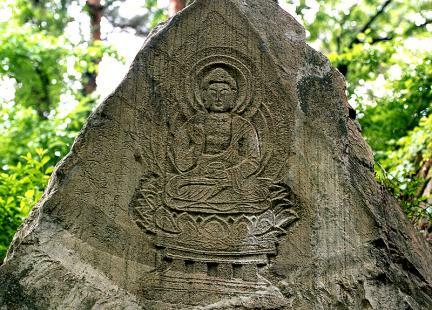 The pedestal has double bases on the lotus whose leaves face downward. Consisting of four short pillars, the middle pedestal stands on the bases; the five lotus flowers in full bloom support the Buddha’s body. 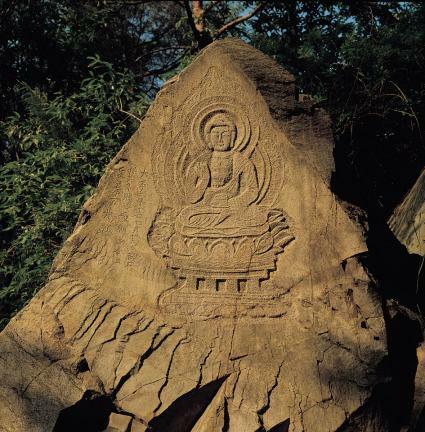 The comparatively distinct Buddha statue is regarded as an important material particularly for its distinct inscription and in researching on the Buddha statue in the early Goryeo Period.